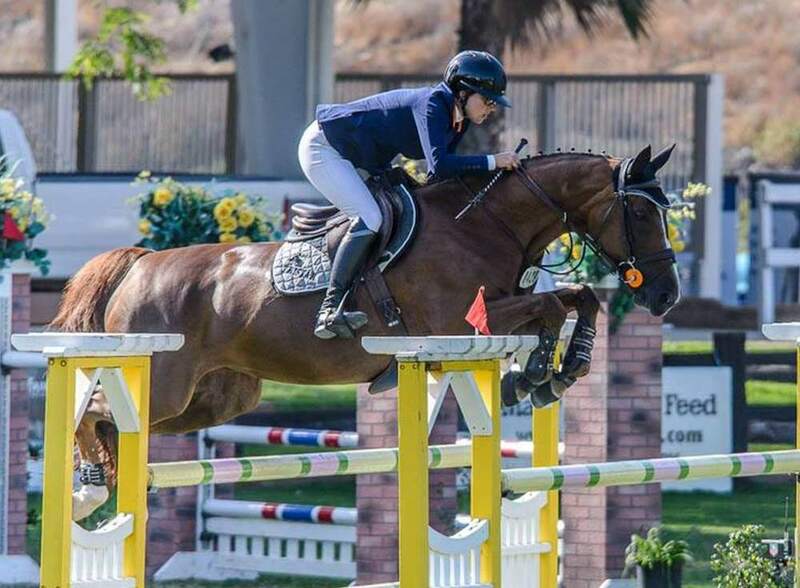 After a fault-free first round, thirteen of thirty entries advanced to a jump-off at the Markel Insurance Grand Prix in San Juan Capistrano, CA. Of the four double-clear efforts, NJK No Regret clocked in with the 4th fastest time. 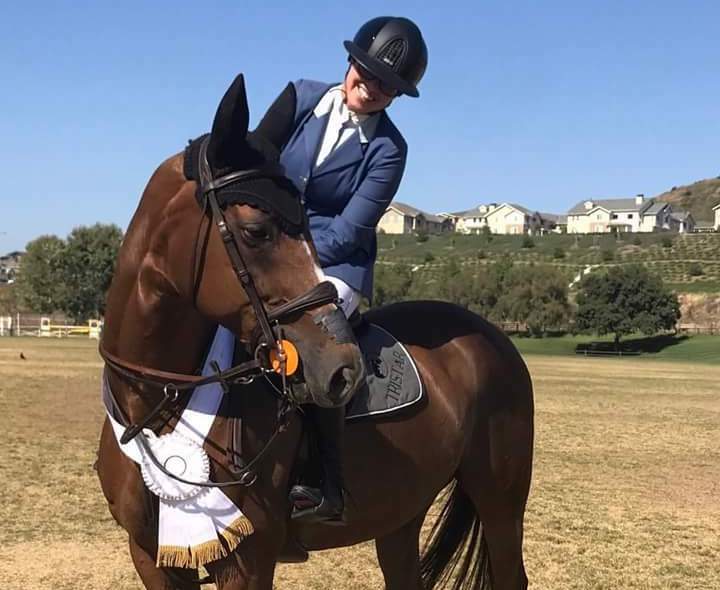 A fault-free first round round had yet to be seen until eventual class winner, Nicole Haunert took to the course with NJK No Regret, owned by NJK Show Jumpers, Inc. Haunert, of Encinitas, California, cruised through course clearing the triple combination that had proven a tough spot in prior rounds. Haunert and NJK No Regret crossed the timers in 83.253 seconds. 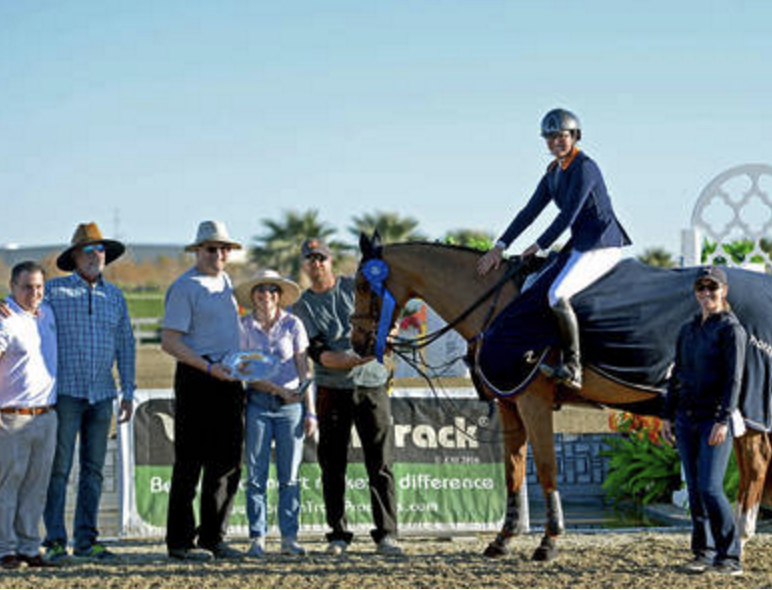 Nicole Haunert kicked off her 2015 season with a victory lap around the main ring at the HITS Thermal Desert Circuit this past Sunday, marking her first career grand prix win at the very same venue where she first met her talented partner, NJK No Regret. 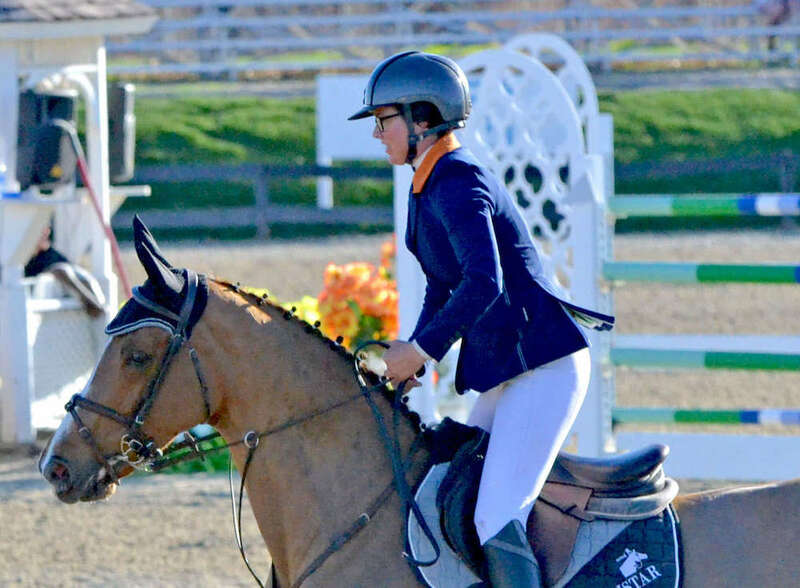 Clocking in at 81.38, Nicole Haunert and NJK No Regret (owned by NJK Show Jumpers, Inc.) finished with one time fault, ultimately fourth place.